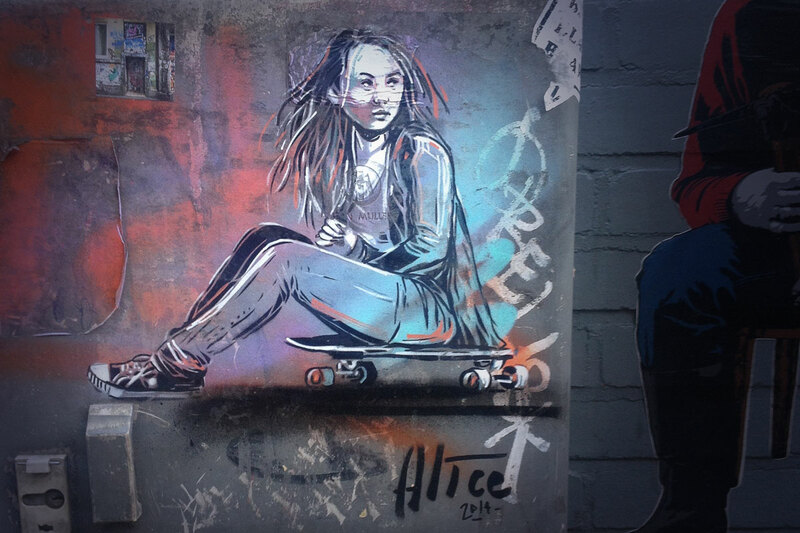 Alice Pasquini is an Urban storyteller. A female street artist who wants to change the world by bringing some hope back into the streets. Her warmly colorful artworks show strong independent women, playing kids and intimate moments. Often she also uses short text passages within her artworks to deepen the message. Her work is an expression of being alive, of appreciating the single moment and not loosing ones childlike curiosity. So Alice is somehow like “Alice in wonderland” 🙂 – she creates an urban wonderland. If you want to see more of Alice’s work you can visite her website. She’s also on instagram, facebook and has her own YouTube channel.